These were just two of the many negative statements by Paul Ryan about Donald Trump leading up to the 2016 election. Paul Ryan — Wisconsin Congressman, Speaker of the House, and leader of Republicans in the U.S. House of Representatives, who was charged to not only support GOP House members in their bids for re-election, but to lead the charge for the Republican candidate for President to defeat Hillary Clinton at the same time. Paul Ryan — Mitt Romney’s Vice Presidential running mate in 2012. He intimately knows the election process, what it takes to win, and how easy it is to lose. He has not only seen what makes losing national elections possible, he was the subject of one of the most needless and misunderstood losses in a Presidential election in my lifetime. Romney/Ryan should have eliminated a second Obama term. Ryan NEVER really supported Donald Trump. He is a member (and, yes, a leader) of the GOP Establishment that has had a choke hold on the Republican Party since the Reagan Administration. Other members of that exclusive club are Senate Majority Leader Mitch McConell, Jeb Bush, both Presidents Bush 41 and 43, Mitt Romney, Governor Rick Perry, Congressman Daryl Isa (CA), Senator John McCain (AZ), Senator Orrin Hatch (UT), Senator John Cornyn (TX), Marco Rubio (FL), Senator Charles Grassley (IA), Senator James Inhofe (OK), and others whose names we’ve heard for years. And many others part of this “club” are not elected officials — many just control campaign and Super PAC dollars. You may remember all the hoopla about Ryan accepting the leadership of the House when John Boener — the previous Speaker — resigned. He made out he didn’t want the position and would accept it only under strict conditions. But that was all a charade. He really wanted it….he got it….and he has used it to his advantage pretty much exclusively…and he has NOT used it to lead the Republican Party inside or outside of the House of Representatives. And he certainly did not lead in the fight to defeat Hillary Clinton. No matter what he says: he does NOT like or support Donald Trump. By his actions — not his “post election” verbal praises of the President — he saw this President as only a necessary evil to keep a third Obama Administration from happening through Hillary. Short of that, I dare to say he hates Donald Trump. Donald Trump made multiple pledges in his campaign of things he would do if elected. He was elected. He as a businessman with success as a “do-er” and NOT a politician set out to fulfill those promises. That process has been shocking to the GOP Establishment, (especially the Speaker) because the GOP political machine has never done that. Done what? Follow through on campaign promises! Because voters elected Trump, (and NOT the GOP Establishment) Speaker Ryan found himself not knowing what to do. How could he get the men and women in that group to follow him if he led the charge to help the President — who many in that group hate also — to accomplish all those campaign promises? He knew his leadership there would be viewed as his betrayal of the “Good Old Party.” So what did he do? NOTHING! He missed on repeal/replace Obamacare. Don’t get me started on political parties and caucuses. I think both are stupid. But they exist. And what real leaders do is pull various factions together finding enough common ground on important issues to reach consensus and get things done. Ryan didn’t even try to pull those factions together in the GOP to support a repeal/replace plan. Voters were told for 6 years the GOP had such a plan ready to immediately after the election pass for the President to sign into law. Donald Trump believed them! Where’s that bill they had created and approved among themselves they all talked about in every one of their elections to get voters to send them back to D.C.? THERE WASN’T ONE! Have you seen the Ryan Budget Plan that he put together to present to Congress? No you haven’t. It doesn’t exist! I Googled today to see all the comments made by the Speaker to his House members about plans to secure the southern border including the wall that voters overwhelming approved the building of with the Trump election. I couldn’t find a single comment from the Speaker. I see none of that definition of leader in Speaker Paul Ryan. He has inspired no one to any specific action. In fact, instead of calling him a leader, I have termed him a “drive-by shooter.” You know what those guys are, don’t you? Instead of getting involved in issues, talking through problems, their sources, possible solutions, and convincing others to agree to realistic solutions, they just drive by and shoot at those that are really part of the issue. I am about to say something that may surprise you — no shock you: I think Paul Ryan accepted the role of Speaker not to lead the House, but to make certain that none of the “radical” policies promoted by Donald Trump would be enacted. Why? Because the Republican Establishment wants one thing and one thing only: no waves. They want Americans to believe everything they promote is genuinely designed for the betterment of all Americans. But history says something different — THEIR history. The GOP wants to maintain power over the federal government. It’s not about money — only about power. They know that with power they control money and everything else. And they know Donald Trump does not care at all about obligations, quid pro quo, or paybacks to anybody for anything. He genuinely cares for the lives of Americans and his life demonstrates that. And he scares them to death. I really thing Speaker Ryan wants President Trump to fail. And I think someone has convinced him that with a Trump failure, Ryan himself has a real shot at selling the story to Republicans that he knows how, and has the ability to, pickup the GOP reigns and lead the Party back into the White House…..himself — in 2020. 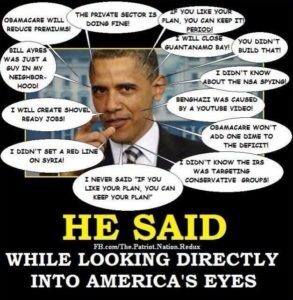 I believe he has a personal agenda and not an American agenda. Whether or not my opinion about his future aspirations is true, he needs to go. There are others in the House far better suited to lead than he. We need one of the real leaders to do just that: lead. Ryan has failed to do so. Don’t panic: I believe in tax cuts….believe me. I believe in getting the federal government as much out of my pocket as possible. However, tax cuts alone will not take care of the financial/debt problems we have right now. 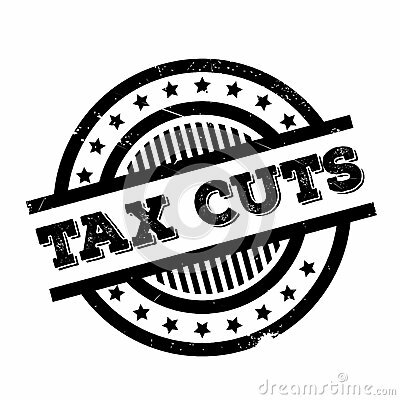 Understand this: even though we do not yet have the full text of the proposed tax cuts leaked to us by the Trump Administration, I promise that they are planned to be just “budget neutral.” The target for these cuts (as were promised again and again during the Trump campaign) are “Tax cuts for the Middle Class.” And that is a wonderful thing. As we’ve heard over and over, the Middle Class in America have been totally forgotten in the last 8 years and have seen their actual income shrink while watching the Wealthy’s income dramatically increase. I applaud these cuts. “Budget Neutral.” Actually in a stand alone environment, “budget neutral” tax cuts would be a dramatic improvement for all Americans. How? 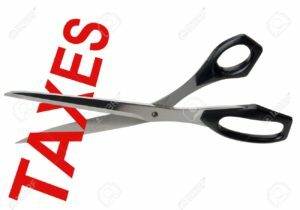 Taxpayers will see dramatic cuts in income taxes both in their payroll deductions, 1099 liabilities, and in tax liability reductions for their small companies. The wealthy are supposed to see taxes rise slightly or remain flat. Once again the plan to replace the lost revenue from these cuts to the federal government come from hoped for spending increases by these taxpayers by their spending more because they have more and from companies investing in expansion and growth because of their increased net revenue. This has been a promise every time there have been federal tax cuts, but have been realized only twice: once when John F. Kennedy drastically cut taxes and again when Reagan did. As you can imagine there are dramatic expectations necessary to project outcomes in these tax and tax cut scenarios that sometimes are not realized because of various unknowns: changing interest rates, necessary military spending increases, national unemployment, etc. Projections are just that — projections. Even though the Reagan tax cuts were the largest in American history, the budget deficit soared. Why? The government spent all the new money they found through increased tax revenue that came from increased taxpayer spending. John F. Kennedy’s government spending increased only slightly, allowing Americans to experience the personal benefits of tax cuts while watching their government operate more fiscally responsible. We need something different. “Budget with Decreased Spending.” $19.5 trillion our federal government owes. You saw yesterday just how ridiculous our national debt is and how mind boggling it is to think of just how we will ever be able to pay it back. I offered a couple of options to resolve the debt issue, but at this point I do not see any real resolve on the part of lawmakers to tackle the payback. We certainly cannot do so with budget neutral tax cuts. And historically we have never seen our government not spend all the revenue it receives during the year. There is only one option for the federal government to maintain U.S. economic solvency: we MUST cut government spending. Here’s a laughable example of the D.C. Congressional budget/spending mentality as it pertains to tax cuts: Bubba works for a small company as a technician and makes $20,000 a year. Bubba tries to put away $2,000 in savings but it takes the balance to live. But he pays his bills. He has some debt: he bought a house and a new car and has a mortgage and car loan. But Bubba tries to make certain he can pay the mortgage, car payment, and all his other bills. But it seems that every year he faces some unexpected economic trauma that puts his budget upside down and he finishes the year having to borrow some money to pay those: home air conditioner had to be replaced; broken leg meant big medical bills; insurance premiums for his house and car almost doubled; his property taxes on his house went way up. He had to take out a home equity loan to just keep up. But, thankfully, Bubba got a HUGE raise that came from a new management position and title for him at work. He now makes $40,000 a year! He excitedly shared the news with his family who all breathed a sigh of relief because Bubba will be able to pay off all his bills and have plenty going forward and can even save a little more money. But instead of going that route, Bubba decided his house was too small and repairs were too high, so he sold his house and bought a new one….that cost twice what he paid for the house he sold. He also decided to trade in his 2010 Toyota for a 2017 Mercedes SUV. His house payment tripled and his car payment doubled. His home and car insurance premiums doubled, and he had to buy an entirely new wardrobe because in his new position he had to wear a suit and tie everyday. For the first time in his life he could join the local country club (because he loved golf). Club dues? Only $500 per month plus cart fees. But he has the money. And to celebrate his new job he invited his fiancee to share a two week trip with him to the all inclusive Sandals Resort in Barbados. (He can afford that now) But before Bubba knew what had happened, even though he had doubled his income, he had doubled his expenses! He might as well not even taken the new job. He had made NO headway. He spent on new bills ALL of his salary increase. You get the comparison here I know. 8 years ago the USA spent $2.9 trillion to pay its bills. In 2016 it spent $3.85 trillion. Each year the USA income has risen since then, but so has spending. Even though 2016 revenue climbed to the highest number in history — $3.27 trillion, our government spending $3.85 trillion spent $587 billion more than came in. The government got a big raise, but the government spent all that came with the raise PLUS $587 billion more. HOW STUPID IS THAT! “Budget Neutral is unsustainable. “ Remember that and keep it on your mind as the conversation gets underway about these new proposed tax cuts. 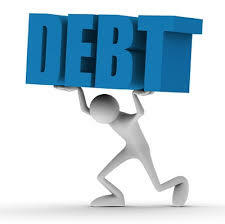 If we had no debt at all (or just a very small amount) a budget neutral scenario would not be so bad. Not only do we owe $19.5 trillion in real debt and an additional amount for “unfunded liabilities,” (see detail in yesterday’s story) we in fiscal year 2017 are paying $222,961,474,558.67 IN INTEREST, before even paying one penny of the $19.5 trillion principle we owe. Conclusion. Tax cuts are a good thing, but honestly are not the key to getting our federal budget under control. The desired “Miracle Grow” in this scenario are spending cuts. Yes, it will be hard to make spending cuts because cutting a dollar in spending means taking that dollar away from someone. But you cut spending; I cut spending; we personally all do without now and then to make ends meet. Our government MUST do the same thing! Don’t let the excitement of the promise of tax cuts get your thinking messed up: tax cuts while nice for everyone will only help slightly. And without corresponding spending cuts they will get us no where. We must cut spending! Tell your Congressmen and Senators to take that increased revenue that results from tax cuts and pay every penny on the U.S. debt. And tell them that is the ONLY scenario that is acceptable. If we don’t make that happen and make it happen soon, we all may need to move into Bubba’s extra bedroom in his new house because we will not be able to afford the mortgage we’re paying now. American Debt: How Dangerous is it? 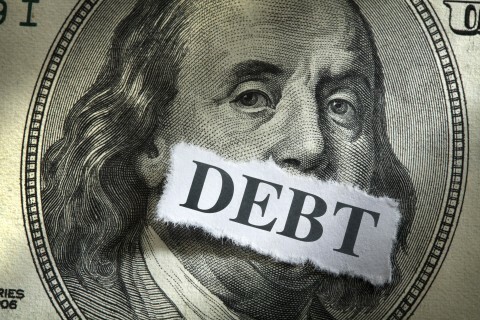 Past generations of Americans were sticklers for having as little debt as possible. Many middle Americans remember the horrors during the Depression of losing their farms to banks because they could not pay their mortgages. Most of those and their children swore never to allow lenders to assume a place in THEIR lives that would allow it to happen again. But as the decades have passed and two generations since have assumed control of the nation, borrowing and lending ideas have changed. The U.S. government has gotten borrowing down to a science. And because of the spiraling debt, the U.S. stands at the brink of total economic devastation. I’ll simplify the issue by comparison that we all can understand. At your house, if your total gross income is $1000 per month, you set your budget based on having $1000 a month coming in. You budget for taxes, housing, food, medical, incidentals, savings, and hope to have a few dollars of that $1000 left at month end. If you are smart, you sock away a few bucks up front to assure you have some “mad money” left. At some point you’ll probably buy and finance a car, so of that $1000 you must put aside $100 each month for a car payment. You would think the federal government would structure its budget using the same or similar budget planning. But that does not happen. In fact their plan is as far from yours as Earth is from the Sun. Here’s how our government handles money: Let’s assume they have $2000 a month coming into the Treasury in tax revenue. They budget expenses to expend $2000. That should be OK because they have exactly enough in revenue to cover the bills. But they do not stop there. They decide that California (as example) has a need for $200 a month, but they don’t have that left. How do they take care of California? They go to the “money store” — the Federal Reserve — to borrow the money. The Federal Reserve doesn’t have the money in hand, but they can print a “note” that they can sell for $200 to some investor, broker, or banker. They sell that note (bond), lend that $200 to the government, then charge the government interest each month. At the end of the month, the government receives its $2000 in tax revenue and pays all of that out on bills. But it owes the Federal Reserve $20 for one month’s interest on that bond. The Federal Reserve owes $5 of that $20 as interest to the investor, broker, or banker it sold the bond to. The government doesn’t have the $20 it owes in interest to the Federal Reserve of which $5 is owed to the bond purchaser. What do they do? The Federal Reserve prints ANOTHER note (bond) that they sell to some investor, broker, or banker for $20 and lends that $20 to the government. The government pays that $20 right back to the Federal Reserve so it can pay the $5 to the first bond purchaser. That cycle continues month after month after month. Do you know what the actual revenue numbers are for the Federal Government? Total Federal Receipts in 2016: $3.27 trillion; Total Federal Outlays in 2016: $3.85 trillion. That’s a $587 billion deficit that the government borrowed from the Federal Reserve and added that to the Federal Debt: $19.5 trillion. Wanna put that in perspective? If we paid back our debt at the rate of $1 per second, it would take 618,340 YEARS to pay it back. That is assuming we add not one more nickel to the debt. And that doesn’t include interest. Yikes! There are several real dangers here: 1) The Federal Reserve is NOT owned by the Federal Government. It is a separate entity. 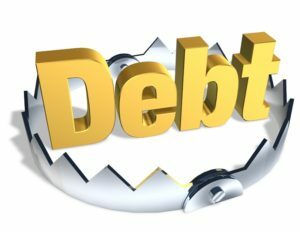 It does not have money of its own, so when they sell a bond in the marketplace, they are simply selling the commitment of the Federal Government to repay that bond: face (or principle) amount plus the interest; 2) the investor, broker, or banker who they sell to MUST get paid at least interest or there would be a default. Then just like during the Great Depression the holder of that note would foreclose and whatever collateral there is promised for the principle and interest for that bond would be seized. In this case, there is NO collateral, just the “good will and faith” of the Federal Government. If bond interest/principle default ever happens, the Federal Government would collapse economically overnight; 3) China is the largest creditor of U.S. debt. They own trillions of U.S. Treasury bonds. We must pay interest on those bonds at regular intervals but we do not have the cash from tax income to do so. What do we do? We sell more bonds just to pay Chinese bond interest. When we need more money than the nearly $2 trillion or so that comes into the Treasury in tax revenue, what the Federal Reserve does is literally just like firing up the printing press and printing hundred dollar bills. And you wondered how the U.S. got to owing $20 trillion. But…..there’s a much BIGGER problem: the U.S. has approximately $100 trillion of “unfunded” liabilities. These are not direct debts like bonds but are commitments the government made for future payments. They are comprised of Medicare, Medicaid, Federal Union Pension obligations, Federal Employee retirement obligations, Social Security obligations — all purportedly total $100 trillion. Don’t try to do the math to compute how much of that debt is yours — it will set your hair on fire. Yes, we as a nation are in economic trouble. Is there any way out? It depends on who you listen to. Obviously our government officials — Democrat, Republican, Independent, or those of any other political ilk — refuse on the most part to even acknowledge we actually have a debt problem. They are masters at spinning everything that could even be considered a negative. Their answer is simple: raise the debt limit. All that does is signal the Federal Reserve to crank up the presses and issue that worthless paper that runs our debt up even further. That obviously is not a sustainable answer. It just kicks the can down the road. Someone in the future is going to have to pick that can up and do something with it. The can has gotten so heavy it is now almost too heavy to pick up off the road. I see only two legitimate solutions: one is to simply default on the debt — tell all of the Treasury bond holders not only can we not pay the principle of the bonds they hold, we can no longer pay interest. What would they do, sue the government? Obviously that would be a fruitless lawsuit since the reason for default was not having money to pay the debt — there’s no “there” there. I’m sure the Chinese (who hold the most Treasury bonds) could find some pretty nasty things to do to us internationally if we did default, but short of military action I do not know what they could initiate that would get them major results. The big downside to default is that most of the balance of those bonds are owned by retirement funds, insurance companies, union pensions, IRA’s, 401K’s, that all represent the bulk of investment dollars for everyday Americans. If the government defaults, every dime of that money owed on those bonds — principle and interest — would come directly from out of the pockets of Americans. Primarily because of that, default is NOT a realistic option. What’s left? There’s only one other option: pay the debt. Wow! $20 trillion and climbing. Can it be done? Obviously it will not be easily done, but it can be done. And it MUST be done. What would that process look like? 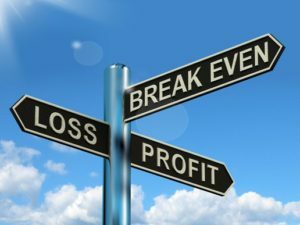 Honestly, no different from how you would handle it if it happened at your house: you would find a way to guarantee your income would at least maintain its level while you worked hard to reduce expenses. Whatever the savings there you would pay on your debt. That may sound like over simplification, but it is a solution that would work. But Americans need to be honest about the problem and then force Washington to do something about it. It will require D.C. to quit painting the rosy pictures to voters and be brutally honest. Stop the “politi-speak!” Just tell the truth. 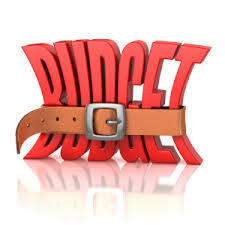 Determine each year the anticipated level of revenue, then determine the cost of bond interest for the year, then compute how much in true spending cuts must be implemented to make the budget at first revenue neutral, then move it into debt repayment mode — including principle AND interest. Are we smart enough to do the right things? MAKE CERTAIN YOU SEE TOMORROW’S STORY THAT IS A FOLLOW-UP TO TODAY’S: “THE LUNACY OF TAX CUTS.” I PROMISE IT WILL BLOW YOUR MIND! SEE HOW TOMORROW. THANKS FOR READING! 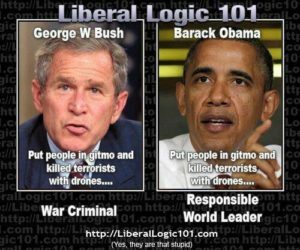 Obama Then: “The bill before us will certainly do some good,” Obama said on the Senate floor in October 2006. He praised the legislation, saying it would provide “better fences and better security along our borders” and would “help stem some of the tide of illegal immigration in this country.” Obama was talking about the Secure Fence Act of 2006, legislation authorizing a barrier along the southern border passed into law with the support of 26 Democratic senators including party leaders like Hillary Clinton, Joe Biden, and Chuck Schumer. Obama on rigging elections from October 2016: “There is no serious person out there who would suggest that you could even rig America’s elections…There is no evidence that has happened in the past, or that there are instances that that could happen this time…So I’d advise Mr. Trump to stop whining.” Note: the state of North Carolina uncovered 600 illegal votes cast in the presidential election. Doesn’t seem like a lot and certainly wouldn’t change the outcome, right? Remember “the hanging chads” in Florida? Bush beat Gore for the presidency by LESS than 600 votes. Elections ARE fixed. FIXING ELECTIONS matters. nominations. “”We should reverse the presumption of confirmation… we should not confirm any Bush nominee to the Supreme Court except in extraordinary circumstances,” he argued. “They must prove by actions not words that they are in the mainstream rather than we have to prove that they are not.” Fast forward to 2016 with the death ofAntonin Scalia with Obama making a Supreme Court nomination. Schumer said this: “Here, Mitch McConnell doesn’t even know who the president’s going to propose and he said, no, we’re not having hearings; we’re not going to go forward to leave the Supreme Court vacant at 300 days in a divided time. This kind of obstructionism isn’t going to last. And you know, we Democrats didn’t do this. 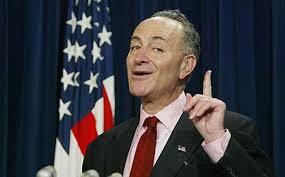 .…even though that’s exactly what Schumer proposed a decade earlier. Fast forward to a recent appearance by Schumer on MSNBC’s Rachel Maddow show. Maddow argued that the Democrats should refuse to fill the empty seat for the entirety of Trump’s four-year presidency. “It’s hard for me to imagine a nominee that Donald Trump would choose that would get Republican support that we could support. So you’re right,” he responded. “And so you will do your best to hold the seat open?” asked Maddow. “Absolutely,” Schumer said. Liberals on Slavery and the Democrat Party’s Historical Support of African Americans, Voting rights for African Americans, and the abolition of Segregation: The Democrat Party has always commanded a morally superior position on all things racial and continually bash any conservative who indicates any support whatsoever of black and other minorities. 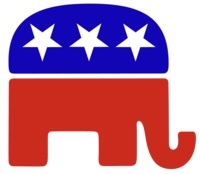 Democrats almost always when confronted by Republicans or other conservatives initially scream “racist” and trumpet discrimination charges against any and all who disagree with them. The Truth? 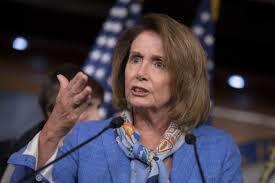 Nancy Pelosi on the ACA (Obamacare) and the most recent replacement plan for Obamacare: regarding the replacement, she wrote this to House Speaker Paul Ryan: “The American people and Members have a right to know the full impact of this legislation before any vote in Committee or by the whole House.” 1. This is the same woman whose most famous quote, regarding the ACA, is “We have to pass the bill so that you can find out what’s in it….” 2. The law the Republicans want to replace with something the “American people and Members have a right to know the full impact of … before any vote in Committee or by the whole House” was one that almost no Democrats read before voting for it, so even they didn’t understand its “full impact.” 3. The ACA passed in this manner included a mandate that Pelosi and her party swore was not a tax but a penalty, and then when the law was challenged argued to the Supreme Court that it wasn’t a penalty, but a tax. 4. The President of the United States who signed the ACA materially misrepresented the impact of the law repeatedly by stating that it allowed Americans who wanted to keep their current health plans to do so. Summary: Those in Congress may wonder why their approval ratings with the American people are so low. The above illustrate why those in Congress are so mistrusted. The media — especially liberal media — are mistrusted by Americans at an almost identical rate as that of Congress. Why? The same reason(s). I could share page after page of specific examples from speeches, videos, editorials, printed fact sheets that show just how ridiculous the hypocrisy at the federal level has become and how nauseated Americans are at having it fed to them daily. The biggest reason for the rejection of these politicians and media members is that the default position for them all is that Americans are too stupid to know the truth and to know the lies told to them by these elitists. The problem for these elitists is that they actually believe Americans don’t get them! Lost in all this is the political, personal, and economic environment of the nation that desperately needs good leadership — REAL leadership from honest news organizations and political parties and members who respect voters, honor laws and the U.S. Constitution and who value the truth at all costs. Make no mistake: Republicans and Independents share their own measures of hypocrisy. It just seems that elitists are quite a bit more “in the faces” of Americans with their very own special brand of hypocrisy. Also don’t think for a minute (as these elitists do) that World leaders believe the hypocritical crap being spoon fed to the World by American elitists. Those foreign leaders invented hypocrisy and elitism long before America was even discovered yet alone became a country. We today ARE the laughing stock of the World — especially in Europe. “IF” we can recover from this it will require not just one leader but a group of leaders over multiple election cycles to win back the trust of the American people as well as that of foreign country leaders and their constituents. The Democrats own the current “marching order” sent every day to Americans and it must be silenced: “Do as I say not as I do.” I am not certain of where on Earth that edict might actually work today as it has in the past. I assure you that the cat is out of the bag. America better get it’s stuff together. 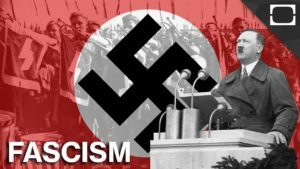 Who are the Fascists in the U.S.? Antifa, which stands for “anti-fascist action,” is a network of loosely affiliated far-left anarchist and communist groups that orchestrate violent protests and attacks on populists, conservatives, and anyone else its members deem to be “fascists” or “Nazis.” Antifa was formed originally in Germany in the 1980s, its members taking the name of the communist paramilitary groups that engaged the Nazis in street-fighting in the 1930s. It now has active cells across the world, including in Germany, the U.S., Canada, the Netherlands, Norway, Sweden, Czechia, and France. 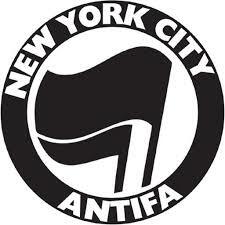 And it has been verified that in the pro-Trump rallies, the campus rallies to promote Free Speech and other conservative causes, and in even those town hall meetings by Republican Congressmen and Congresswomen, in those that turn violent the perpetrators of the violence (the ones who mask themselves and refuse to be identified) are on the most part members of Antifa. “Anyone who tries to hold any sort of right-wing event literally gets beat up by militant communists in the street,” said independent journalist Lauren Southern, who was present at one of the pro-Trump Berkeley rallies, in a video taken immediately following the violence. Harrowing video footage taken by Southern’s crew showed Antifa street fighters throwing bricks and M-80 explosives into the crowd, as well as assaulting Trump supporters. Other footage released by someone present at the event show ed one Antifa thug hit a Trump supporter over the head with a bicycle chain and lock. But the Trump supporters and free speech activists — acting fully in self-defense — were able to hold their ground and drive back their Antifa attackers. In response Antifa members have only vowed to intensify their violence. “Not getting disarmed is a big part of the problem, yes, but we need more than flags and bats,” wrote one in the r/anarchism subreddit community page. “We need to take notes from the John Brown Gun Club and get firearms and training. I know getting firearms in states and cities we have a presence in is usually a hassle, but even handguns would help,” the would-be revolutionary wrote. 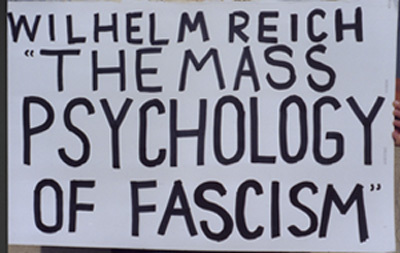 “It would certainly put a psychological element in while holding fascists back. Who do you think a fascist is more afraid of? People with only flags and bats, or people with flags, bats, and guns?” he wrote. “Anyone who tries to hold any sort of right-wing event literally gets beat up by militant communists in the street.” But some Antifa members have clearly had the same thought — that “flags and bats” simply aren’t enough. Indeed the Antifa United webstore temporarily sold a Antifa-branded concealed credit-card knife. Antifa could also reasonably meet those conditions. Yes, Antifa fits that definition, too. So now you know: those are not just troubled college students who get carried away screaming at conservative rallies around the nation. 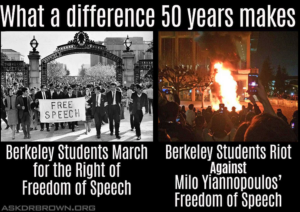 They are Nazi, political thugs that are part of a coordinated and planned attack on free speech, the First Amendment, and conservatism in general. Their disguise is meant to confuse the media and the public into thinking they are really speaking for the heart of most Americans when in fact they speak from the true heart of fascism, communism, and totalitarianism. They speak from the intolerance and hate that slaughtered 6 million Jews in WW II, that attacked and burned churches in the South, and that lynched Americans around the nation during the Civil War. And they are NOT conservatives or Republicans. The are Antifa activists whose foundation was to attack in militant action those who REALLY are proponents of freedom, justice, and liberty for the people. For all those who call Donald Trump, conservatives and other right wing Americans fascists, get your facts straight. Although I continue to be amazed at all those “educated” people on the Left — including many reputable elected officials in Congress and in State Houses — who call the President a fascist, (along with the other monikers they have assigned him) there is now NO excuse for them to not be confronted with facts. It is true that many on the left continue to ignore facts opting for embracing radical self serving political positions. Still as Americans hear the truth about what and who these gangsters are wreaking havoc on the nation in various venues, I trust they will “know the truth and the truth will set them free.” And those truths do NOT come from the likes of Nancy Pelosi, Chuck Schumer, California Governor Jerry Brown, NY Mayor de Blasio, Rachel Maddow, The View, CNN, or Hollywood. Where will political freedom come from? It has already been birthed in America during the 2016 campaign, has been planted in conservative elected officials on state and local levels and has filtered “UP” to Washington as Americans have awakened to the urgency of getting this right, AND that leadership to doing so really does NOT come from the Democratic Party. If the GOP wants to assume the mantle of leadership, they better quickly get to work — real work — in getting fundamental change as defined during the campaign implemented and working for Americans in time to post results. If those positive results are not visible prior to November 2018, Republican politicians in office now will for certain be packing for home. American voters are too soft to trust half truths disguised in commitment from politicians. Psychologists are quick to point out some obvious problems with using these types of grading systems. The problems all stem around the perception of students, parents, and even teachers of the students that are graded. 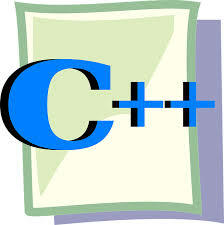 Obviously in some families “C’s” and “D’s” are acceptable as were the “E’s,” because they were not failing grades. Other families accepted nothing less than “A’s,” “B’s,” S’s,” and “E’s.” Average or below average grades were unacceptable, but not to ALL. In our nation today we are experiencing on many levels the results of the culture of Average being acceptable: in politics, education, business, personal relationships, families, and even in religion. But doing so results in issues that create a ripple effect of problems. Accepting average requires accepting failure as being OK. How so? Many kids I went to school with would slack off during a semester — especially the early part of a semester — because they knew if they failed a few tests they could make those grades up late in the semester by making a few “A’s.” Of course in doing that they had to accept making one or two failing grades. In my family if one of us was an average student that person was expected to make a bunch of “C’s.” “F”s” were never acceptable; failure at any level was not an option. And if one of us was capable of making straight “A’s,” nothing less was acceptable. When I finished college and went into the business world, very shortly afterwards I entered management. My views on work ethic and work results for the employees I managed paralleled my past regarding performance expectations in the classroom. After all, if everyone had grown up in an environment of expectation of excellence, why change and accept less than excellence at work? Unfortunately that attitude was not shared by everyone. Therefore everyone did not adopt and live by the same work ethic. And it is not just in work: in marriages, relationships with children, friends, even with siblings and other family members. And as the calendar months change along with the years, it has become more and more commonplace to accept Average as all right. But in doing so there are obvious pitfalls. One is as we become accustomed to accepting average in our everyday lives, the level of achievement begins to slide. We begin to expect less from ourselves and others, and in doing so we receive less in the level of results. Average begins to slide. Human nature steps in and across the board in Society in school, work, religion, relationships — in every part of our lives — we see the quality of results declining. So if everyone is doing it — achieving the same or similar results — does the decline in results really matter? Of course they do! Everyone wants the best in everything in their lives. Everyone can look around at those in their lives and they will always see some others who have better things: better jobs, better relationships, more money, nicer jobs and homes. In the 50’s, 60’s, and 70’s, we all knew when we saw those folks and we wanted in our lives what they had, there were ways to get those things. But all those “ways” were costly — everything good comes with a price. Remember that Scripture we talked about previously from Genesis 8? “What goes around comes around,” “you get out of life what you put into life,” “you reap what you sow.” All are different versions of the same principle: the way to get something is to work for it. In America today we are living in the middle of the massive deterioration of that fundamental principle. Everyone wants something. Fewer and fewer are willing to work for what they want. And one of the products of that unwillingness to work hard is an expectation of getting something without working for it: an attitude of entitlement — “Somebody owes me something.” We see it played out everyday in politics. Different political factions tout different philosophies that usually contain different versions of the Entitlement phenomenon, like “Every American deserves healthcare.” What that is really saying is “Every American deserves healthcare that someone else pays for.” That’s an entitlement attitude. There are far too many other examples of this to go into here. But you know what the meaning is. In summary, here is the largest problem about accepting average as OK, — especially with the level of what average is continually slipping lower and lower — average will NEVER be any higher than it is today. This generation knows only what is average in their lives today. They have no example or teaching of the principle (or its results in the past) from their teachers, professors, employers (on the most part), and news programs to lead them in any other way. So where it is today is probably as good as it gets. You can comparatively look at other societies around the World and compare economic and social environments with that of the U.S. and see the differences today in the lives of citizens there as compared to here. That comes from the attitude of work ethic in all things within those societies. Life levels will always be a direct result of a society’s perception of achievement. And the measure of achievement that all draw from is……Average. Is Average their accepted end result or is it simply a mark they want to better? Is there anything we can do? How many people do you know and interface with on a regular basis? The only way to right this ship is to look within our individual circles of influence — our children, our friends, our employees and employers, our fellow church members, our brothers and sisters, etc. — and live an example for them. Examples? Stop lying in front of our children. What….you don’t lie to your children? Let’s see: a bill collector calls. Your wife answers the phone and you whisper across the room, “Tell him I’m not here.” And she does. Your son or daughter see and hear that. It’s a lie and you have justified it to them. Your justification? “It really wasn’t a lie because I was not standing right where Mom was holding the phone so in actuality I really was ‘not right here. '” The big picture in that scenario is this: you just told your kids lying is OK. What and how have you taught your family to respond in their lives to that question? That sets the standard for that one thing for the generations of people who live with you. Wow! That seems like an impossible task. But its’ simply this: “anything worth having is worth working for.” We get out of something exactly what we put into it. Are we going to simply gripe about Washington, our not getting a raise at work, the price of gasoline, how much weight we’ve gained, the dishes stay in the sink far too long without being washed, the laundry keeps piling up, and that list goes on and on. 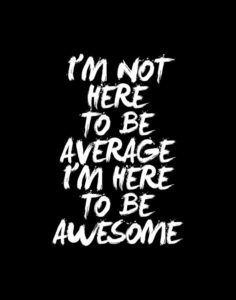 DO SOMETHING ABOUT IT….AND RAISE THE DEFINITION OF AVERAGE IN YOUR LIFE!!!! California’s top law enforcement officer said his state is “ready” to confront the Trump administration over its funding threats against so-called sanctuary cities. State Attorney General Xavier Becerra responded in an interview on ABC’s “This Week” Sunday to warnings by the Trump administration that it could cut funding to sanctuary cities, which are places that limit how much local police forces can cooperate with federal immigration authorities. 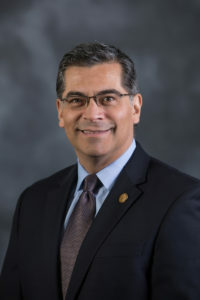 Becerra contrasted the role of the federal government with California’s law enforcement agencies. the U.S. Capitol. And in doing so, they have created (and are maintaining) an atmosphere of permissiveness that not only allows selective legalism but encourages it. We are on a slippery slope from here. And it is not cold water in a swimming pool that awaits us. It’s a long visit to the mud pits of failed European socialist countries and the heat and humidity of banana republics of South America and the Caribbean. Lawlessness is not headed our way, it is here. How do we process this? Believe it or not, electing Donald Trump as President is a start. This issue is not unique to his presidency — it was living among us under Barack Obama and before. It was just lying in wait in the bushes for the right time to strike. And when the new gardener in town decided to shake the bushes to find out what was there it stirred the snakes that had been quietly laying there for some time. Understand how it happened is something history will teach us. What is most important is that we get a handle on this immediately. First, there’s California. I hate to say this, but I doubt there is a quick and/or easy solution to what A.G. Becerra had to say. I do not think this is something even Donald Trump can negotiate away. So instead of just talking a tough game, the President needs to go on offense. Knowing now how he operates, when he initiates his game plan there will be no turning back and it will be ugly. But if we do not take a stand somewhere in the U.S. immediately, this “state anarchy” is just beginning. Cut California off at the knees. How? First, immediately cut off all federal funding to the California state government. That surely is low hanging fruit, but in the state’s poor economic condition, it will show the liberal governing class there they are part of a nation and not a nation unto themselves. And to be a part of something means being a part of it instead of standing in the corner of the room at a party and whining until you get your way. This would include, by the way, ALL funding for education at every level, including colleges and universities. Secondly, pull all of the federal support for the California infrastructure: interstate highway maintenance, national park maintenance and manpower, all federal military personnel, equipment, shut down all military facilities and move complete Army, Navy, Air Force, Marines, Coast Guard, and Merchant Marines vessels, vehicles, and any and all movable equipment from California to federal facilities in neighboring states. This includes all U.S. federal employees at federal non military facilities. Completely cease operations at those agencies’ California locations. 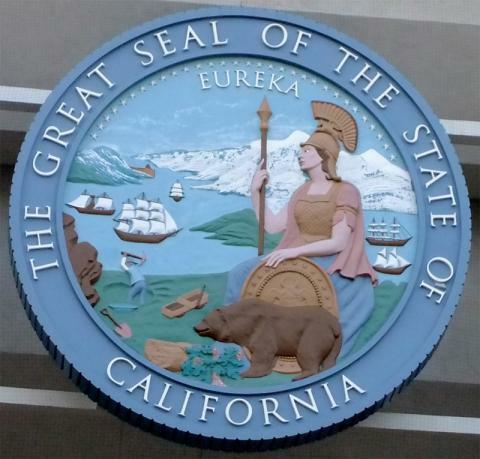 Let the California government know they need their own military, immigration forces, intelligence operations, and international government infrastructure since they are NOT part of the United States. Terminate all federal leases and rental contract for every facility and piece of equipment being used in the state. Third, seal the California border with U.S. border guards: not the border with Mexico. That will be THEIR responsibility. Seal the California borders with Arizona, Nevada, and Oregon. Passage to and from California to the United States must be approved by U.S. authorities. This includes air traffic. Fourth, immediately cancel all contracts between U.S. companies and California companies for all goods and services, all to be replaced with contracts with like companies in other U.S. states and other countries. I know this includes the products of technology companies in California, and cutting off ALL of these may be impossible. But for those that cannot be terminated or phased out, Congress should pass import tariffs on ALL goods AND services provided by California individuals and companies to other U.S. states. There are many other pieces to this puzzle that will surface if such a course of action is taken. And you may think my making these suggestions is illogical because they can never happen. Before you dismiss my premise, consider this: the California Attorney General has made it clear his Justice Department will NOT abide by federal law. He will continue to pick and choose which laws California will enforce with no regard or input from the United States government. I understand California is a state and Constitutionally has state rights under federal law. But all laws passed by the U.S. Government and implemented MUST be followed and enforced by each state. After all, the 535 people who are each elected by their individual state citizens are the ones who represented their states in passing these laws. And that includes California lawmakers elected by California voters. Yes, this process might be an impossible one. I do not see how it could ever happen. but I also cannot see how any of the 50 states would ever want it to happen. And I doubt the people of California would approve such a move. But someone must get California government leaders to wake up to the stark realities of what America is today: it is NOT a nation of immigrants as some like to say. It is a nation of laws. And all of us that live in this nation are a product of those laws passed, enacted, and enforced by Americans in previous generations and this. If any states or any individuals are given the arbitrary right to abide by or to ignore any federal laws for any reason they so choose whenever they make those choices, our nation will cease to exist. I don’t think Attorney General Xavier Becerra is ready for California to become a nation. And I’m certain as much as the pride of Governor Jerry Brown would dictate making such a move, even he would run from the statehood option for California if it is thrust on his state by the federal government. In years past I might would have said, “Governor Brown is not a stupid man. He would NEVER agree to anything like that.” I’m not so sure of that now. Let’s examine the outrageous and outlandish statements and positions taken by some of the nation’s leading mayors and governors about the ethereal “House on the hill:” Sanctuary Cities and Sanctuary States. The Leftist talking points have become absolutely ludicrous. The ironies of all things to do with this phenomenon all comprise an American first: government leaders and American cities all subscribe to Anarchy. “Anarchy: a state of disorder due to absence or nonrecognition of authority.” Who would have ever thought American governors, mayors, and even some Congressional leaders would subscribe to the philosophy of anarchy? What is going on in this story that encompasses “Sanctuary Cities?” Actually, there really is no such thing. The term was created to describe a place of sanctuary for illegal aliens guilty of federal crimes who are arrested by local law enforcement for committing local crimes. U.S. Justice Department requirements of local law enforcement is simply to notify federal officials of the arrest of those individuals and hold them for the feds to pickup for processing. In the atmosphere of many American cities in which liberal state and local officials by their actions endorse the protection of these illegals, several mayors and even governors have made public statements putting the Justice Department on notice that they will NOT cooperate with federal authorities in the process described above. New York, Chicago, Los Angeles, San Francisco, Philadelphia, are large cities that lead that pack. What’s at stake? Besides the obvious which is prosecuting illegal aliens guilty of federal crimes and taking them off the streets, tens of millions of dollars in federal grants to these cities and states are set to be withheld until local and state officials cooperate with the Justice Department and Immigration in holding then releasing these criminals to the feds. And the political battle lines have been drawn (as you can imagine) along liberal and conservative lines. Regarding President Trump’s executive order blocking funding for these Sanctuary cities, New York Mayor Bill de Blasio said, “The executive order does not change who we are or how we go about doing our work.” He continued, “We’re going to defend all of our people, regardless of where they come from and regardless of their documentation status.” The Democratic mayor says that instead of filling its stated purpose of increasing public safety, the executive order would undermine it by damaging police and community relations, and putting cuts first and foremost on the NYPD, “taking away the resources we use everyday to protect people in this city against crime and against terrorism.” City officials say the Republican president’s order could yank over $150 million in law enforcement funding that’s mainly for counter terrorism efforts, as well as protecting international dignitaries and, arguably, safeguarding Trump Tower. At the release of the Executive Order, Chicago Mayor Rahm Emanuel spoke out, “We’re going to stay a sanctuary city,” Emanuel said. “Wherever you came from, you’re welcome here.” How much will Sanctuary City status cost Chicago? An analysis by the Center for Tax and Budget Accountability, a Chicago-based bipartisan think tank, said Trump would need Congress’ approval to yank all of the city’s federal funding, which is expected to total $1.3 billion, about 14 percent of its 2017 budget. 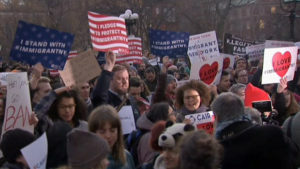 Similar action with similar results have occurred in San Francisco, Los Angeles, and other U.S. cities with those mayors stating their commitment to their sanctuary status. What in the world is going on here? Do these leaders not understand what they by their actions and in-actions are doing? They are endorsing law breaking and those who repeatedly break the law, AND supporting an environment in the Nation in which laws at the whim of anyone can be broken or adhered to as determined by anyone. Whatever happened to “we live in a nation of laws?” Whatever happened to oaths of office for these officials in which they pledged to uphold the laws of the United States, their states, and their cities? How can people who have climbed the mountain of accomplishment to achieve their successes be so stupid as to thumb their noses at the President of the United States, Attorney General, the U.S. Constitution, and more importantly, the voters and tax payers in their own cities? 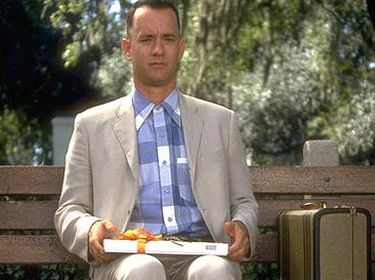 Forrest Gump apparently had them tagged correctly: “Stupid is as Stupid Does.” Directing their city citizens and the local and state law enforcement officers to ignore any laws is endorsing anarchy….period. Voters need to pay attention to this. There is a price to pay for these government choices beyond even the loss of hundreds of millions of dollars these municipalities need to operate their cities smoothly. By aiding in this perpetuation of ignoring federal laws simply by telling city employees to ignore the law can loosely be defined as “aiding and abetting” those who have committed felonies. That’s a violation of 1907. Title 8, U.S.C. 1324(a): Aiding and Abetting. The penalty for that? Ten years of jail time plus a large fine PER OCCURRENCE defined in law as one occurrence for each of these acts assisting one illegal alien to evade federal prosecution. So these mayors if convicted and sentenced for breaking this law could serve 20, 30, 40, even 50+ years for doing so! But forget about the legal implications. We are all Americans. We are all trying to do the best we can in getting along, raising families, and fighting for economic successes. The same can be said for immigrants who come to the U.S. the right and legal way. And these mayors who harbor (and encourage others to do so) criminal illegal aliens are stealing from legal immigrants the rights and opportunities these mayors unilaterally give and protect for illegal aliens in their cities. That in itself is un-American. 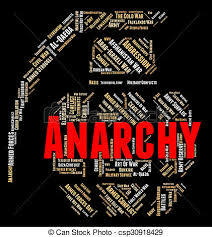 That is anarchy: where people in the government pick and choose what laws to enforce and who to give all the breaks to. Have we really come to that? Here’s the REALLY ironic thing in all this: someone gets killed by an illegal alien who was arrested by local authorities and released by local law enforcement in lieu of turning him over to federal authorities. The family members sue who for wrongful death? Local law enforcement. Who pays that settlement? Local law enforcement pay it…from funds received via grant for local law enforcement. In other words, Kate Steinle’s family receives millions of dollars for her wrongful death at the hands of an illegal 5 times deported, picked up by San Francisco authorities and released again only to shoot Kate at a spot I have been to numerous times myself. YOU pay those millions in those settlements! Ironies in this are abundant. Why can’t we simply support and enforce the laws, or, if we don’t like them, change the laws? Not doing so is pure lunacy! It appears more and more every day that the Democrat Party is slowly turning the giant ship in the sea of American politics away from Hillary and Bill Clinton. Since 1990 the two have championed the causes of the Party, both while in and out of office. Barack Obama began what many consider that “ship turn” away from the Clintons by defeating HRC for the 2008 Democrat Presidential nomination. Her tortuous loss to Donald Trump in 2016 seems now to be the proverbial nail in the Clinton-Dem leadership coffin. The Party is struggling to find a real leader. It’s last two leaders both resigned in embarrassment. Hillary’s loss in the election pretty much put the kibosh on her political future, (at least all things Presidential) and there’s a huge leadership vacuum remaining that needs to be filled, and filled soon. The 2018 midterms are just around the corner. Democrats desperately need if not to regain control of both houses of Congress get the Senate or the House back in Democrat control. Accomplishing that takes time and takes a lot of money. The DNC has never struggled with raising dollars, but they are running out of time for ramping up for the midterm elections. Who is there to pick up the DNC mantle of party leadership? Former Secretary of Labor Tom Perez — a hand picked successor to the DNC Chair surprisingly slipped into that role through a late Obama endorsement for him to be named Head. His hate filled speeches attacking all things Republican and of course President Trump have startled many Americans who are not accustomed to his brash and angry rhetoric. To some his actions and style speak of a desperation among Democrats who are watching their deep party roots throughout America being ripped out by middle class working voters who the DNC simply forgot about in the election of 2016. Perez seems to sense the desperation of those voters but struggles mightily at determining how to harness that energy that pushed Trump over the top against HRC. What the Democrats really need and are scouring their ranks to find is someone who can don the mask that the party uses to promote a “new” Democratic Party, forgetting about the old party. And they’re having a difficult time finding the right person. Who is out there? Quite honestly, the obvious choice is Bernie Sanders. Sanders in many people’s mind should have been on the ticket in 2016 instead of Hillary. DNC shenanigans and the installation of “super delegates” made getting the nomination virtually impossible for Bernie. And besides that, he’s not even a Democrat! He’s and Independent. If he made another run for the White House he’d be 79 when he took his oath of office. All of these are stacked against him. 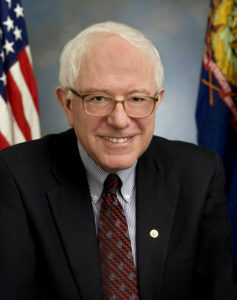 While his name is being mentioned, he is doubtful to be the one to put on the DNC mantle moving forward. After Bernie, Democrat options become scarce. The picture gets even more complicated as the Party struggles with its identity: does it move to the middle to try to attract those former middle American blue collar workers that until Donald Trump were sworn to the Democrat ticket no matter who was at the top? Or do they move to the far left to try and widen their base hoping to attract new younger Democrats? Determination of the party’s identity is critical to finding and putting the right person out front. There is one option that we have not mentioned, and it’s far fetched for many: Elizabeth Warren. She no doubt is somewhere left of Hillary but not nearly as far left as Bernie. She knows how to play the political game, too. In the 2016 election, she stayed in the middle, withholding her endorsement of either Hillary or Bernie until it was a lock that Clinton would get the nomination. Then she launched into full campaign mode for the party running everywhere with Hillary. And there is no doubt she is definitely in the “Dump Trump” camp — she hates the President. She has recently stated she will in 2018 run to keep her Senate seat and is already campaigning that way. She is most often adept in Q & A with the rare ability to never allow herself to be backed into a corner by reporters — she pretty much always says the right things. And she currently is the DNC attack dog in the Senate, no doubt. Senator Elizabeth Warren launched another attack on U.S. President Donald Trump on April 19, describing his election win as partly the result of an “ugly stew of racism” on the MSNBC Rachel Maddow Show. The Massachusetts Democrat has been one of the most outspoken critics of the real estate mogul since he launched his presidential campaign in 2015, taking every opportunity to call him a “fraud” and a “thin-skinned bully.” Since Trump’s inauguration, Warren has escalated her fight against the president, leading the opposition against Senator Jeff Session’s nomination for Attorney General and urging the Senate to vote down Betsy DeVos’ nomination. When asked by Rachel Maddow why so many middle-class voters cast their ballots for Trump, Warren said the U.S. rhetoric appealed to voters who felt angry and frustrated about the lack of job opportunities. She added that xenophobia played a big part in Trump’s election campaign. “He got that people are deeply angry,” she said. “People are right to be angry, but Donald Trump said it’s their fault—those other people. Those people who don’t worship like you, those people who don’t look like you, those people who aren’t the same color as you.” Warren also attacked the president for not fulfilling any of his campaign pledges and his promise to help the working class. “He has already signed off on a law to make it easier for employers to steal their employees’ wages. He’s made it easier for investment advisers to cheat retirees,” she said. Earlier on Wednesday, Warren said on ABC’s The View that her biggest regret was “that Donald Trump is president of the United States, period.” She called Trump a “master of distraction” and urged Democrats to unite and focus on combating his agenda. “This man is truly dangerous,” she said. Of course there will be time to firm up (if she is even going to be considered for the Dem “out front” role) exactly what the party line is going to be for 2018 and 2020. But they need to get started with its modifications pretty quickly. As we saw in 2016, blue collar working Americans feel left behind by the Dems. They will have to be won back. Enough about Warren as the face of the Democrats. Please note the apparent tone they have taken since the election: they double down almost daily against the Trump Administration, his policies, campaign promises, and actions in his first 100 days. And they’re doing so with the most strident messaging I’ve ever seen from the Left. DNC head Perez goes postal when he speaks using profanity laced verbal attacks on the President. And in the footsteps of HRC, Warren attacks Trump spouting facts that are not facts at all when discussing Trump. That policy hurt the Dems in November. Many Americans feel Democrats look down on them — especially middle class working people — and that being talked to in the way the party speaks to them sends a message of DNC superiority. And Americans do not like that. Speaking of Warren spouting “non facts” (or “fake news”) about Trump: in the paragraph above taken from her interview with Rachel Maddow on MSNBC, she made these claims of Trump: …..She added that xenophobia played a big part in Trump’s election campaign. “He got that people are deeply angry,” she said. “People are right to be angry, but Donald Trump said it’s their fault—those other people. Those people who don’t worship like you, those people who don’t look like you, those people who aren’t the same color as you.” Warren also attacked the president for not fulfilling any of his campaign pledges and his promise to help the working class. “He has already signed off on a law to make it easier for employers to steal their employees’ wages. He’s made it easier for investment advisers to cheat retirees,” she said. More name calling and attacks that are not factual. And Americans understand this tactic! The fact that Democrats do not understand or believe average Americans read, watch, and listen to news and therefore are cognizant of current affairs is another put down by Dems of working class Americans. Whether it’s Warren, Perez, Bernie, or even Hillary again, the Democrats have a tough road ahead. The DNC leadership is almost toothless at this time. 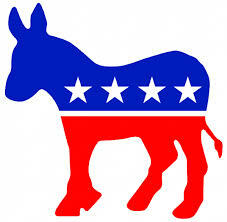 Without real political leadership soon, I predict the Democratic Party will implode.